With the Dodge Demon hogging all the limelight at drag-strips across the US, Ford decided to do something about it. Their answer is this, the Ford Mustang Cobra Jet. 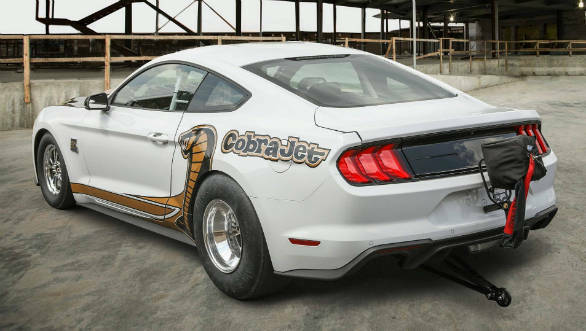 The striking paint scheme and the Cobra Jet name comes from the first Mustang built specifically for drag racing by Ford in 1968. 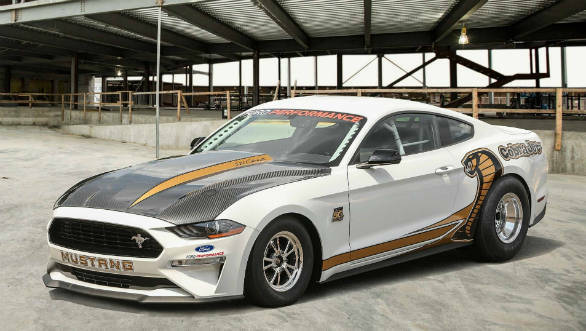 The 2018 Ford Mustang Cobra Jet can get from 0 to 241 kmph on the quarter-mile, clocking a time in the mid-eight seconds. This handily beats the Demon's figures, but unlike the Demon, the Cobra Jet is not road legal. 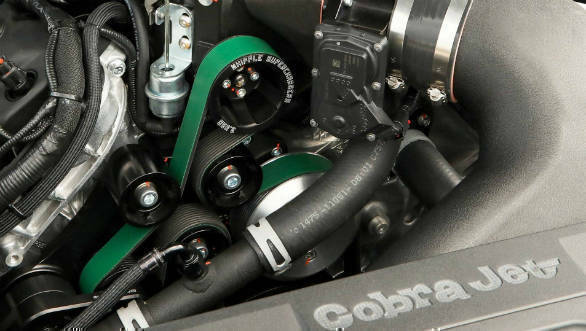 Powering the Cobra Jet is an enlarged 5.2-litre version of the 5.0-litre V8 from the road-going Mustang. For added effect, a massive 3.0-litre supercharger has been bolted on to this unit. Outputs haven't been revealed but a figure around the 1000PS mark won't be surprising. The engine puts its power down through a 9-inch solid rear axle and, two-way coil-over shocks with adjustable ride height. A low-drag disc brake system from Strange Engineering, as well as a four-link rear suspension with anti-roll and panhard bars, also help with this. 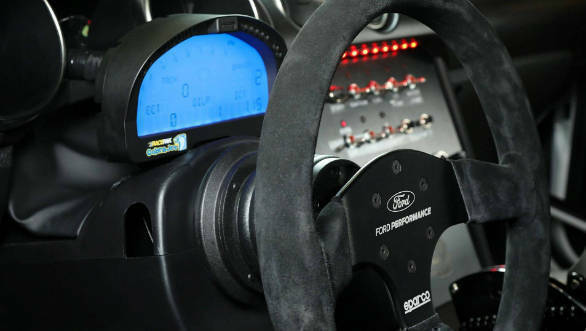 Other enhancements include a factory-provided racing performance upgrades include an NHRA-certified safety roll cage, FIA-certified seats and anniversary-badged racing wheels. The Cobra Jet is limited to just 68 units and is priced at US$ 130,000. The car has been built to celebrate the 50th anniversary of the original which competed at the NHRA Super Stock in the 1968 Winternationals. The new Mustang Cobra Jet is available in either Race Red or Oxford White and can be outfitted with exclusive 50th Anniversary graphics and badging. 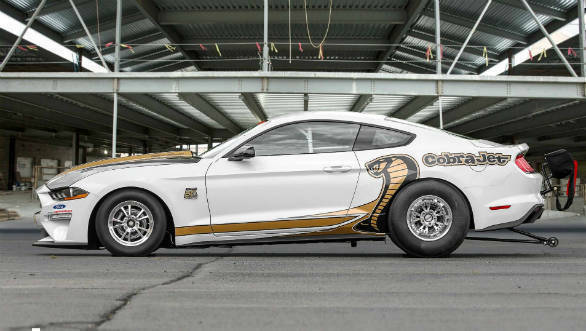 The new Cobra Jet will make its public debut this weekend at the 2018 Woodward Dream Cruise north of Detroit. The Mustang Cobra Jet continues the resurgence that we have been seeing for the past few years in the world of muscle cars. The latest offerings from Ford, Chevrolet and Dodge keep impressing with their ever-increasing power outputs. But what is most appealing is that these cars now drive better than ever and aren't all over the place when shown a racetrack.